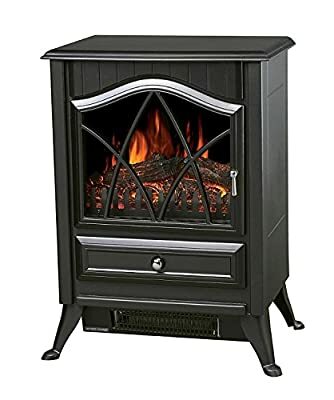 Size: 41.5W x 28D x 54.8H (cm) Stunning black Cast Iron Effect with LED log effect. 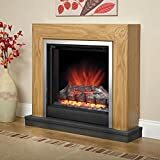 Fire display window lets you enjoy the beauty of an authentic real wood fire without the risky health and safety implications. 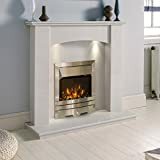 Freestanding design Exclusive Galleon Fires nickel effect handles . 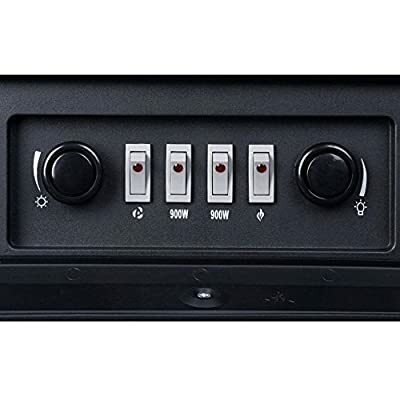 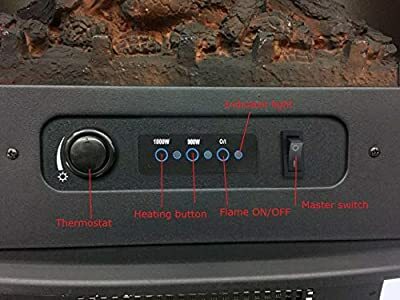 Remote control .Can be easily moved from place to place The fire effect and fan can also be used independently of the heater Variable light intensities Additional benefit of being decorative when heat isn't required Output:900-1800W Fan Heater Safety thermal cut-off protection. 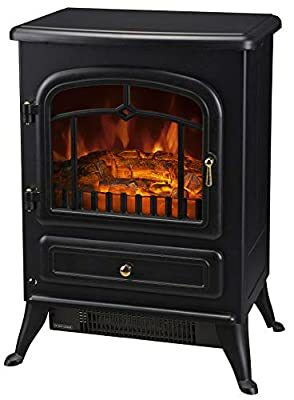 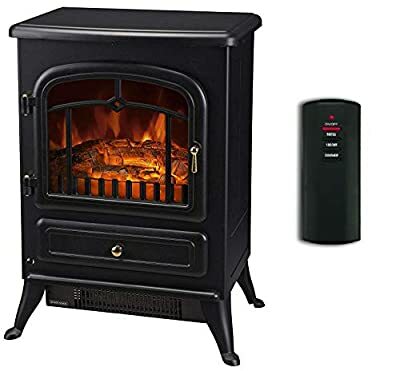 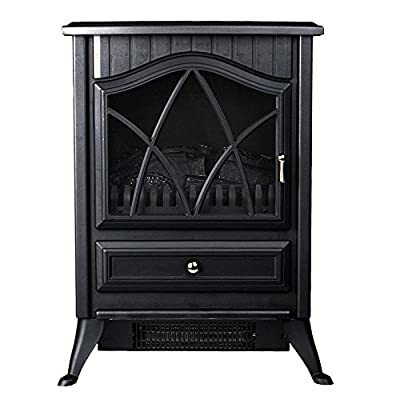 Dimensions: Height: 550mm | Width: 410mm | Depth: 270mm Realistic Glowing log flame effect with variable flame brightness - use with heat or independently 2 heat settings with adjustable thermostat control for optimum comfort Safety thermal cut-off protection Absolutely NO ASSEMBLEY required just plug in.